Browse: Home / AntiFooling – Prevent the Malware Execution. 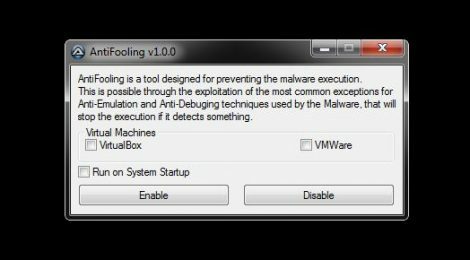 AntiFooling is a tool designed for preventing the Malware Execution. This is possible through the exploitation of the most common exceptions for Anti-Emulation and Anti-Debuging techniques used by the Malware, that will stop the execution if it detects something. – Download *.zip, then unzip it. ← DKMC – Malicious payload evasion tool.